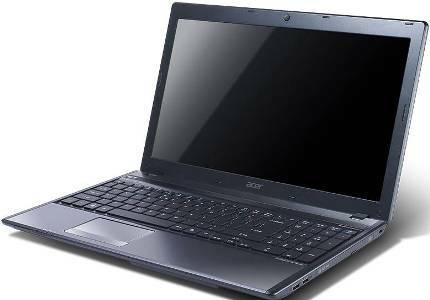 The Acer Aspire 5755G 15.6-inch wide-screen display with a resolution of 1366x768 pixels powered by 2.3Ghz intel 2nd-Gen i5 processor with 4GB RAM. It comes equipped with dedicated Nvidia GT540M graphics card with 2GB dedicated memory and has Intel integrated graphics. Switching between this is done automatically based on the applications with the help of Nvidia's Optimus technology. The Aspire 5755G comes with a 750GB HDD quiet enough storage for storing video and audio library. The network connectivity and expansion option includes USB 2.0 and 3.0 ports, Ethernet, D-sub, HDMI, Bluetooth 3.0, Wi-Fi,HD webcam, audio and microphone ports, a DVD writer and multi-format card reader. The Acer Aspire 5755G runs on 64-bit Windows 7 Home Premium OS. The battery delivers 3hrs. backup when fully charged with high performance GPU running. it weighs 2.6Kg and is currently available in India with a price tag around Rs. 45,000. 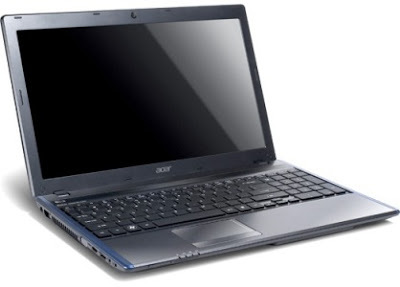 Tags: Acer 5755G, Aspire 5755G, Acer Aspire series laptops, Acer Aspire series notebooks, Acer Aspire series i5 notebooks, AA 5755G, Acer Aspire 5755G, Acer Aspire 5755G India.